The crown of your tooth is the part that sits above the gumline. Sometimes your tooth has such a large cavity that when it is removed, there is very little tooth structure left to hold the filling without breaking. Other times, the tooth itself fractures and a large portion of it is missing. If you’ve had a root canal, chances are you will also be missing a large portion of your tooth as well. In all these situations, your tooth will need to be restored with a dental crown. A crown would also be necessary to restore a missing tooth over a dental implant, and also could be recommended to you to cover a poorly shaped or misaligned tooth. The crown can be made of several different materials: porcelain-fused-to-metal (porcelain white on the outside but metal on the inside), all ceramic (white), all metal (gold), or zirconia (for teeth grinders). There are also other materials that are used that are different variances of ceramics and pressed glasses that are specific to certain needs like esthetics or strength. Depending on your situation and specific needs, the dentist will work with you to select the proper material for your crown. These dental crowns are fitted over your tooth and take the shape and function of your tooth. First, your tooth will need to be built up with a core material to be able to hold the crown. Then, the tooth will be prepared and reshaped and an impression will be taken. This impression is sent to a dental lab where they fabricate the crown. In the meantime, you will have a temporary crown that we make that day. When you return to our office, the temporary crown will be removed and the permanent crown will be placed. 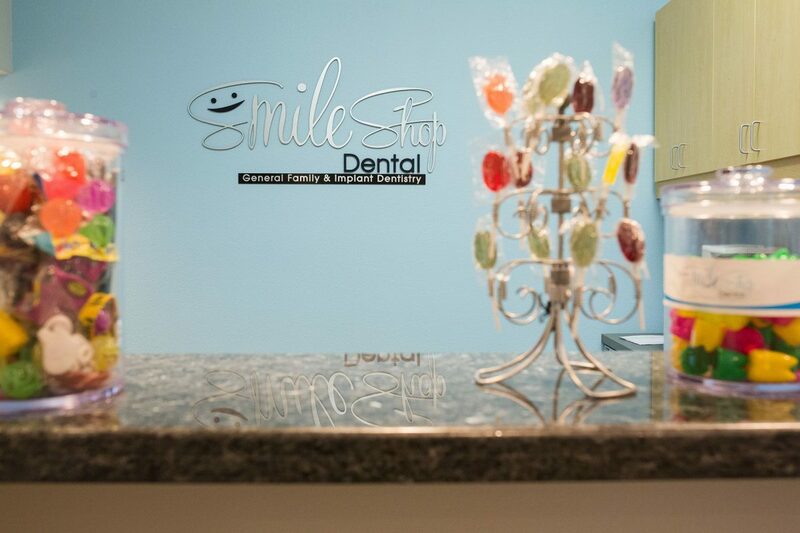 Before it is permanently seated, the dentist will ensure it fits properly and that the shade matches to your liking. Bridges are similar to crowns in the way the teeth are prepared. 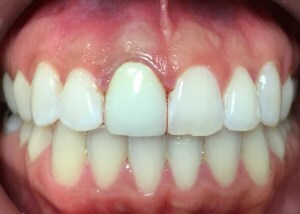 However, the reason a bridge is placed is not necessarily because the teeth are broken down, but instead to replace one or more missing teeth by spanning the space where the teeth are missing. 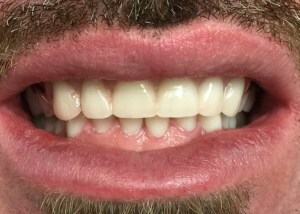 To make a bridge, the two teeth on either side of that space, which are called the retainer teeth, will be prepared just like a crown as described above. 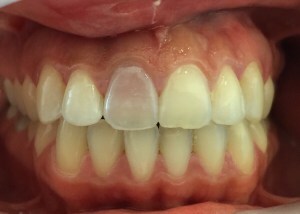 The impression will be taken, and instead of creating individual crowns, the lab will fabricate crowns that are connected to a middle replacement tooth called a pontic. As with crowns, you have a choice of materials for bridges. Why is it important to replace missing teeth? I can chew on the other side and no one can even see it. Gaps left by missing teeth eventually cause the remaining teeth to rotate, shift, or tilt into the empty space. This will over lead to a bad bite and result in an imbalance that could also lead to gum disease or temporomandibular joint (TMJ) disorders. While crowns and bridges may and can last a lifetime, they do sometimes come loose, fall out, or fail due to decay that gets underneath the margin of the crown and becomes a new cavity on the tooth. The most important thing you can do to extend the life of your crown or bridge is to practice good oral hygiene at home. A bridge will lose its support if the underlying bone and gums are damaged due to periodontal disease. Brushing and flossing regularly will certainly help to ensure your crown or bridge lasts as long as possible.